You are here: Home / Marketing / What Should You Be Doing About Social Media? How you should use it? When Is Social Media Applicable? The more consumer-focused your offering is, the more you should rely on and invest in social media as a channel. If you are selling complex solutions to large enterprises, you should spend less time with social media, using it mostly as a tool to build “aura” and awareness. SMB and SME are somewhere in between – some application of social media is warranted in these segments, but in a limited way. What Social Media Tools Should You Use? Social media offers a plethora of tools and can become a time sink unless you focus and manage them properly, particularly when you are just getting started. If selling a complex solution to large enterprises, focus on LinkedIn. Develop a company page and personal profiles for your senior team and keep them up to date. Once you have traction, you can make posts here and on Twitter. I would use the same strategy if selling into the SME segment. Pinterest and Instagram, both powerful channels, are best used when selling into the consumer market and, Instagram’s case, when focused on a younger demographic. I would put Google+ in this category too, although there has been quite a bit talk recently about how it is going to become a viable B2B channel. Focus on a building your persona in your chosen social media channels, working the medium in a “voice” that maps to who you are, the values your company has and that will resonate with your audience. Approach the effort systematically and patiently – it takes time to build momentum. Post 2 – 4 times a day and keep your profiles current and fresh. 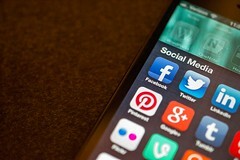 As you get going, there are a swag of tools available to help you manage your social presence. I like TweetDeck, Tweepi and TweetAdder for managing Twitter, and tools like HootSuite and SproutSocial enable you to manage posts and profiles across social media channels. Social media will not sell your product, nor reduce sales cycle length or increase close rate, so I am afraid that the predictions about changes to the sales process (e.g. a radical shortening of the cycle) made by the social selling and sales 2.0 advocates are a little overblown. Sales, especially complex sales, are fundamentally relational. But, if you manage it properly, it can be a cost effective way to increase your market presence, get your brand out that and define and maintain your reputation and profile.